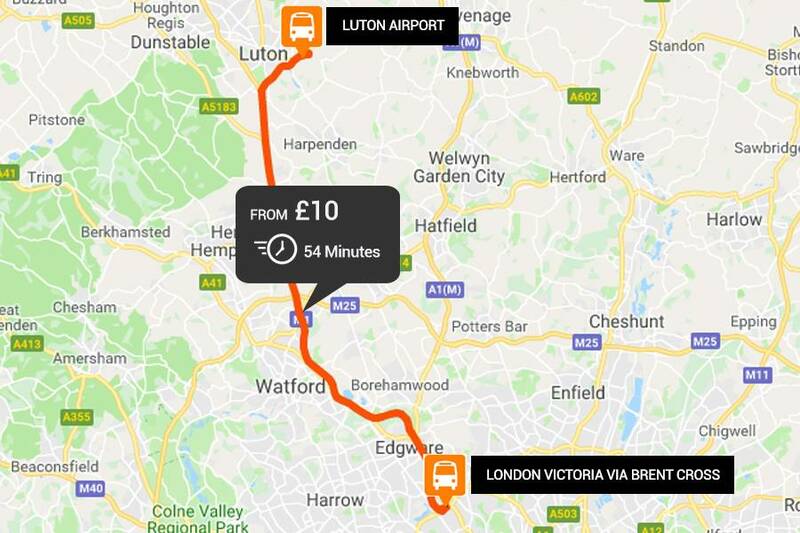 easyBus, in partnership with GreenLine.co.uk coaches offers an airport transfer bus service between Luton Airport and London Victoria coach station from only £10.00 one-way when you book in advance. easyBus passengers accompanied with a print-out of their ticket should board the Greenline 757 route towards London Victoria from the Coach Station located outside of the Luton Airport exit. The easyBus Ticket Desk can be seen directly in front of you on the left-hand-side once you leave the Arrival Hall of Luton Airport. Our friendly members of staff will assist you in purchasing your airport transfer ticked to Central London. If you already have a ticket or have made a purchase from the ticket counter please make your way to the Coach Station outside exit of the Airport.